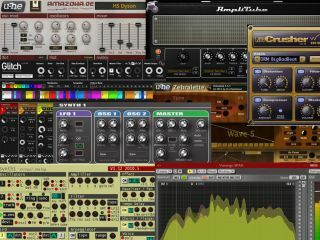 Free VST plug-ins were top of MusicRadar's agenda in July, as we counted down the 27 best ones based on your votes. There was plenty of love for our world premiere of Shinedown's new video Enemies, while Dream Theater's Mike Mangini and Motley Crue's Mick Mars told us about their favourite drum albums and blues guitarists respectively. Oh, and our friends at Computer Music magazine took a first hands-on look at forthcoming new DAW Bitwig Studio. The world's worst band meeting? Bitwig beta hands-on preview! WORLD EXCLUSIVE! We get our hands dirty with Bitwig Studio! Is it really an Ableton killer?